Order high quality fresh tuna online and enjoy one of the best tasting fish available. 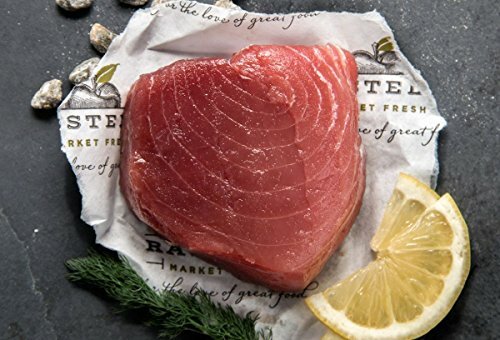 Sometimes referred to as the fillet mignon of the sea, fresh tuna has a dense, firm texture and a delicious taste. Through our site, you can buy several different varieties of tuna fish, available fresh, or freshly frozen. 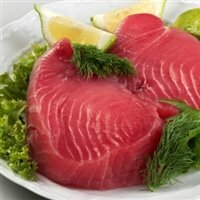 The links below will take you to the seller's site in a new window with a full description of the fresh tuna for sale. The very best in natural, ahi tuna. Tristan utilizes ULT (ultra low temperature) freezing technology right on the vessels. Once harvested, the tuna is immediately processed and frozen to an internal temperature of -76 F. This freezing technique locks in the just caught characteristics of the tuna and when properly refreshed, blooms the distinctive ruby red color. And Tristan NEVER uses CO to treat their products. These 5-7 oz. 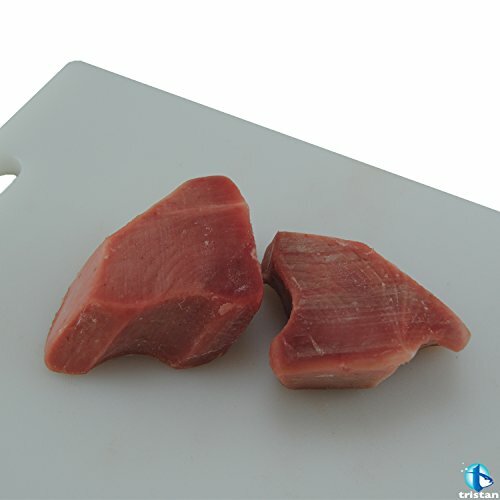 tuna steaks are boneless, skinless with bloodline removed, and are all natural - no additives or preservatives. Perfect for searing and grilling! Firm, medium-flavored with a delicately smooth texture and sometimes called Ahi, our all-natural Yellowfin Tuna is wild caught in the Maldives. Defrost, then serve this red-fleshed fish raw in homemade sushi or seared and left nearly rare. One delicious bite and you'll swear off the store bought canned tuna forever! ADD AN ASIAN TOUCH: Sesame oil has long been giving its characteristic flavor to traditional Asian food. Discover the delicate, complex flavor of our Toasted Sesame Oil for a distinct flavor highlight in stir-fry, fried rice, noodle dishes or marinades. DELICIOUS &amp;amp; VERSATILE: La Tourangelle oils make it easy to create distinctive dishes for professional chefs, novice cooks and foodies alike. Great for salads, on grilled meat, pasta, or a cheese plate, our oils create memorable moments around the table. NATURAL &amp; SUSTAINABLE: La Tourangelle's delicious, artisan oils provide the perfect touch to make a gourmet breakfast, lunch, or dinner. We strive to be the best artisan oil producer, dedicated to making carefully crafted, sustainable, natural products. 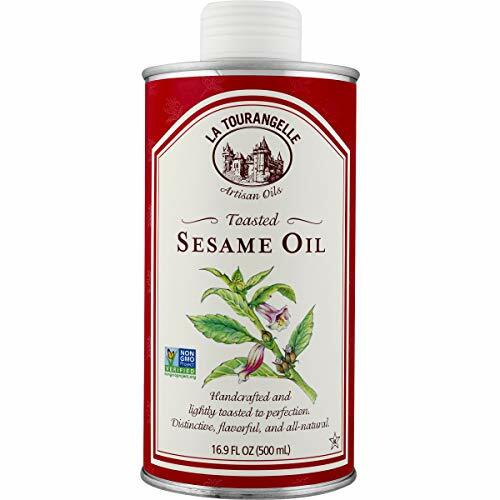 La Tourangelle Toasted Sesame oil is pure, all-natural and handcrafted from high-quality sesame seeds harvested from South America or Africa. The seeds are toasted and then expeller (machine) pressed to extract the oil. This oil is filtered several times and then bottled. Our mill slowly roasts the sesame seeds using lower temperatures. The result is a deep amber, richly flavored oil with a subtle toasted taste. Sesame Oil has long been the universal cooking medium in Asia, imparting the characteristic flavor to the foods of its regions. In Chinese and Korean cuisine, it is added as a flavor highlight to cooked dishes. The Japanese often add about 10% toasted Sesame Oil to the oil used for tempura or deep-frying, creating a rich, background flavor. American cooks may want to use Sesame Oil to flavor an Asian stir-fry or noodle dish or as a marinade for meat or fish. Sesame Oil, rice vinegar, fresh grated ginger, and mustard is a delicious dressing for any combination of salad greens. Sesame Oil, is an ancient ingredient. The Assyrians used it as a cooking oil more than 600 years before Christ. It was expensive, however, and a hundred years later in Persia only the rich could afford it. It is still used as a medicine in India , and oil pressed from the raw seed is a massage oil in Ayurvedic medicine. Its low saturated fatty acid content and high unsaturated fatty acid content makes it a very healthy oil. La Tourangelle is one of few remaining oil mills keeping a time-honored French heritage of roasting and pressing nut kernels into delicious oils. We are a family-owned company whose mastery of oil production is the fruit of passion, integrity, and pride. We strive to be the best artisan oil producer, dedicated to making carefully crafted, sustainable, natural products. With artisan care, we extract the seeds' essence and hidden natural treasures to create amazing products that bring delight in the kitchen and well being for the body. Because we are shipping perishable items, there are certain shipping guidelines we must follow to ensure your products arrive frozen. We only ship orders on Monday, Tuesday & Wednesday via FEDEX with a 2 day maximum. Orders placed by 4pm ET will ship out the next shipping day. Orders placed between Wednesday and Sunday 2pm ET will ship the following Monday. 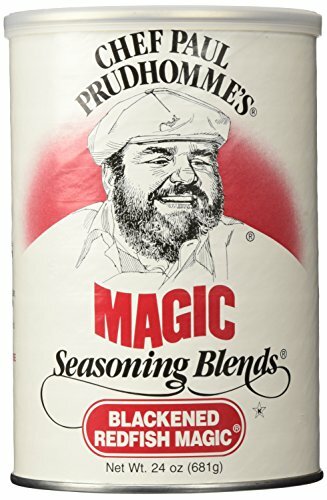 Magic Seasoning, Blackened Redfish Magic 24 oz. One taste of a dish prepared with this blend, and you'll understand how all the "Magic" got started! Chef Paul's now world-famous Blackened Redfish Magic captures the essence of Southern Louisiana cuisine and works wonders on any kind of fish, no matter how it's prepared! For a taste you won't forget, try sprinkling it on shrimp, crab, oysters, lobster, catfish, etc. Fantastic in your gumbos, soups, sauces, and dressings. (To use, simply substitute for salt, pepper, and other herbs & spices in your recipe.) Our goal is to keep the online nutrition information up-to-date and accurate. However, we always recommend that you check the labels, or call the manufacturer, for the most up-to-date ingredient and nutritional information.